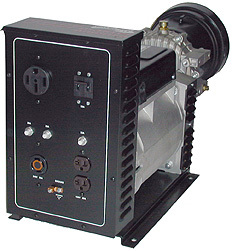 VOLT master America® PTO Generators are designed as a standby electrical power supply for farm applications or any site that has an engine with a power take-off. They can utilize a 24 hp or larger power take-off from tractors, bulldozers, or trucks as the prime mover. 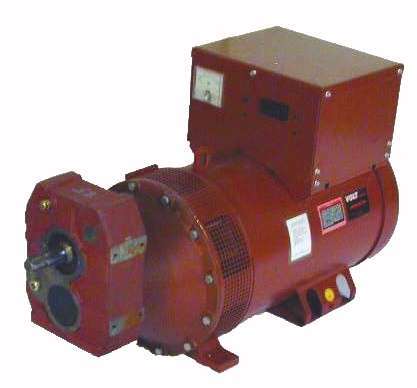 Units are equipped with a single-stage gear box ratio design that operates generator at 1800 rpm for longer life, quieter operation, and smoother running. * Brushless four pole generator with capacitor and copper windings. * Thermal magnetic circuit breakers protect from overloads and short circuits. * Voltmeter assists in setting tractor speed and monitors output. * One full power 240V plug included. and safety shield. Telescoping PTO shaft kit must be purchased separately. electrical output will be proportionally less. Service entrance transfer switch panel 200A or 150A TWB2012CR or TWB1512CR (compact breaker type). High Capacity Power Inlet Kit 300134.